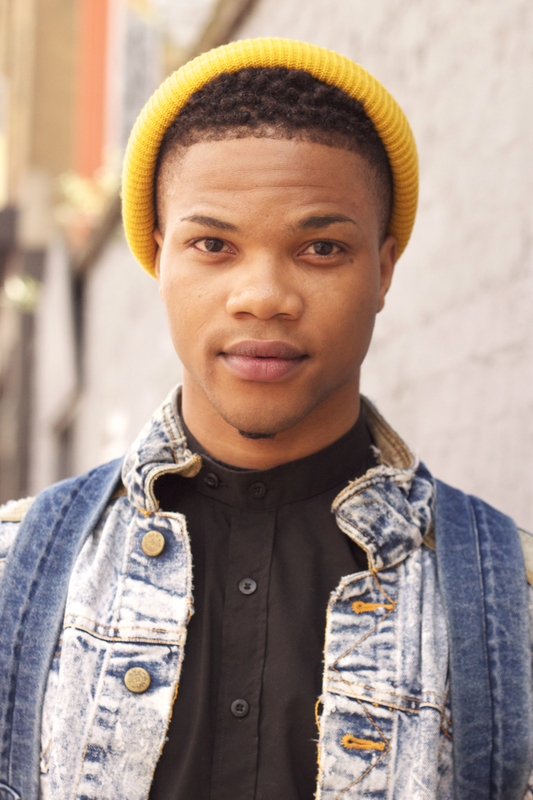 This is Chad- a blogger/stylist/model/photographer extraordinaire. If you haven’t already seen it, you must check out his blog The XOXO Kids. Chad spent several years living in Seoul, South Korea and much of his blog is dedicated to Seoul’s exciting fashion and nightlife scene. Being half Korean myself, I love seeing the latest trends from this crazy, fashion obsessed city. 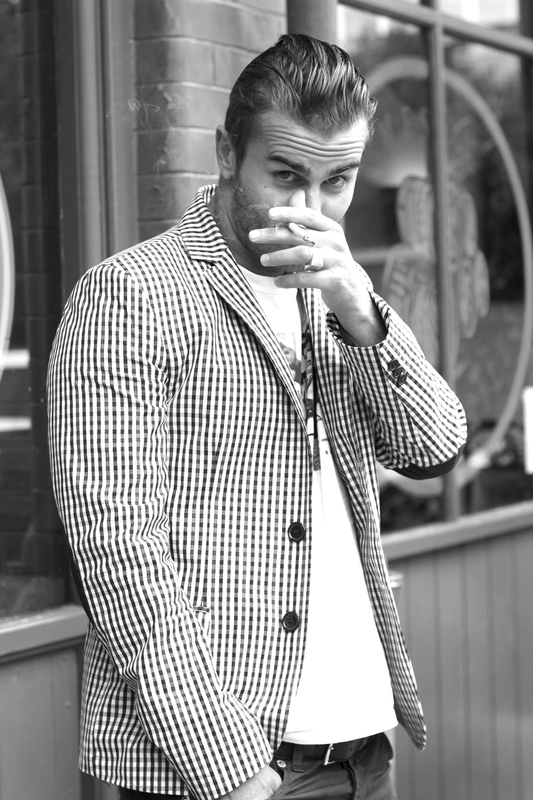 Chad has now moved to London and while his blog features a lot more content on the London fashion scene, there are still many brilliant nods back to Seoul. Chad wears an Issey Miyake jumpsuit, sunglasses by Resurrection from South Korea, clutch by Louis Vuitton and shoes by Mr Hare. We’ve all gone London crazy and Georgie’s M&S skyline tights are the perfect ode to the big smoke. 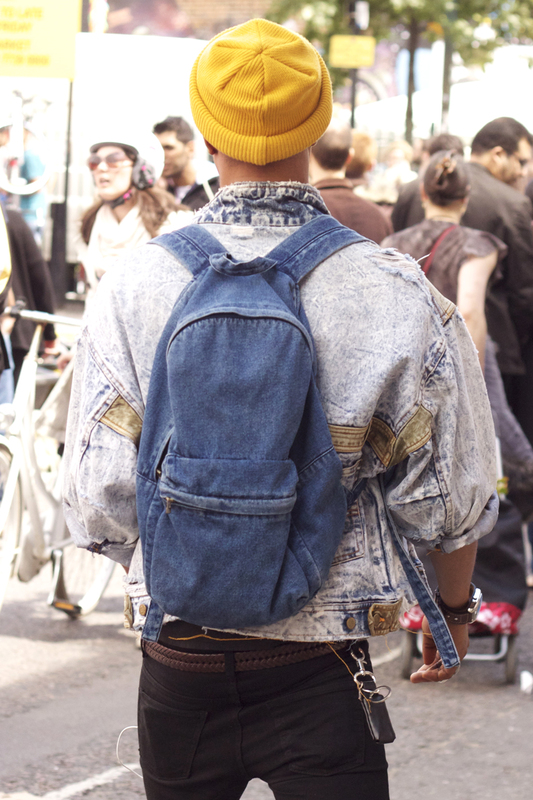 Georgie also wears a vintage jacket, Levis jumper, skirt from Topshop, Dr Martens boots and a vintage hat. On your marks…get set…GO!! It’s all eyes on London right now as sports fever hits the town. 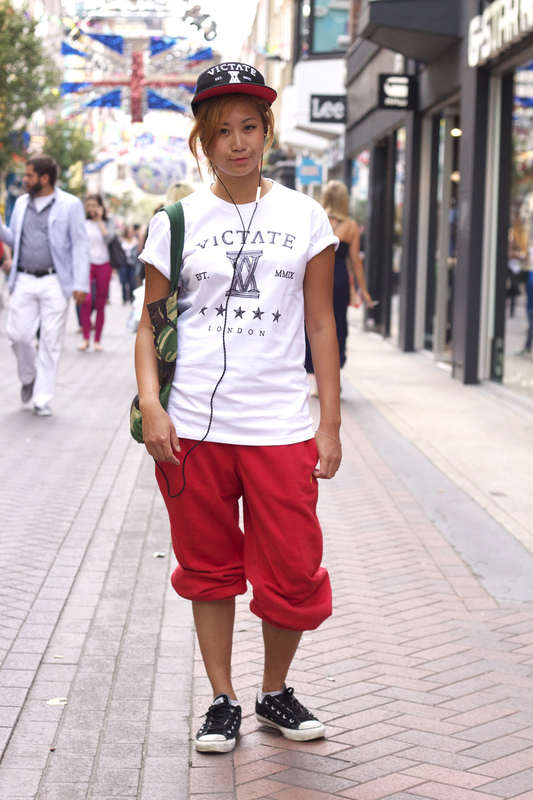 Take inspiration from Ryu’s sporty look with her Victate t-shirt and hat, Nike joggers and Converse trainers. 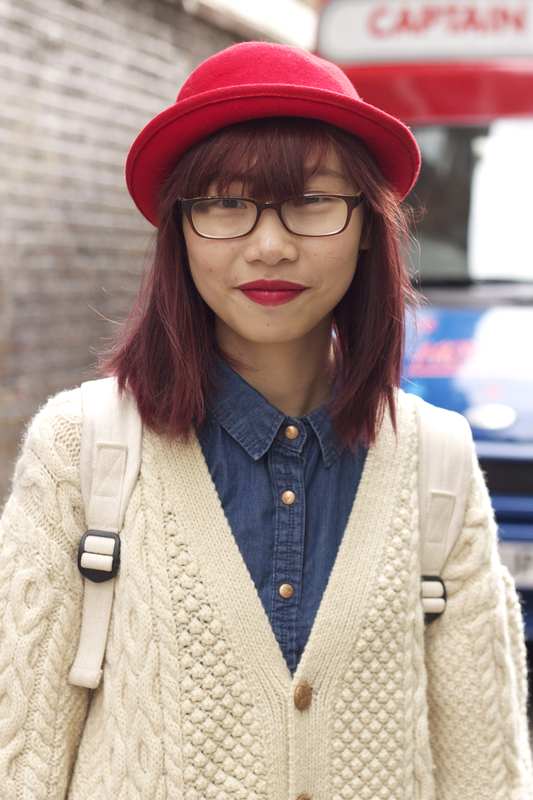 Sun Ching looks cute as a button in her red, blue and cream combo. She’s even managed to coordinate her look with the ice cream van parked beside her. She wears a hat from Taiwan, cardigan and shoes from Portobello Market, dress from a shop in Greenwich and a bag from Muji. 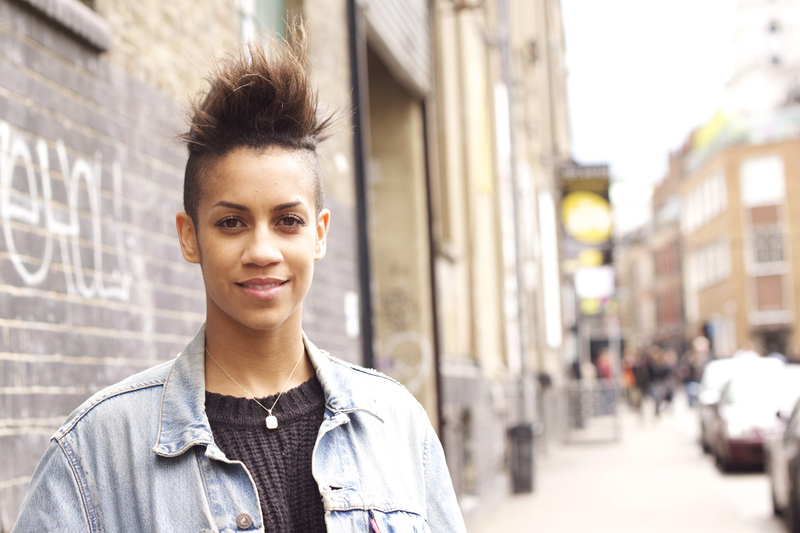 Isabel is a fashion designer from Finsbury Park. 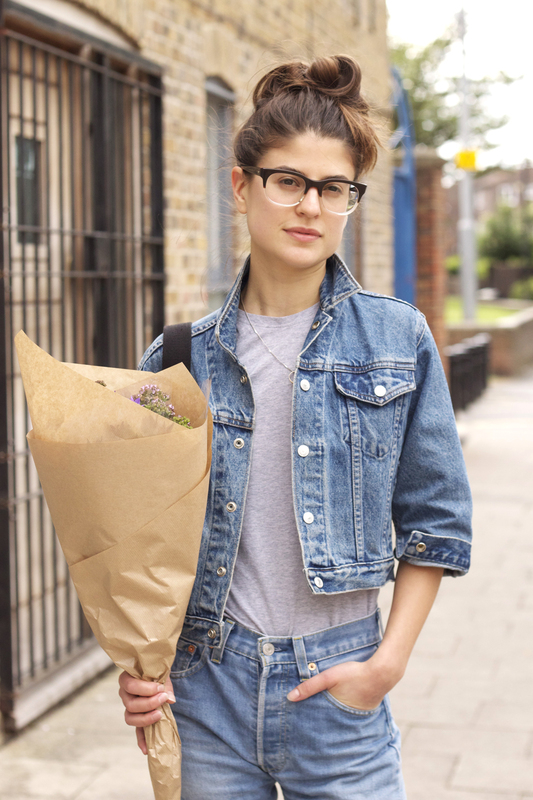 She wears a vintage Gap jacket, vintage jeans, M&S t-shirt, Converse trainers and an Ally Capellino bag. Dominique is an actress, choreographer and singer- what a jack of all trades. I love her electric shock hair which she carries off breezily. 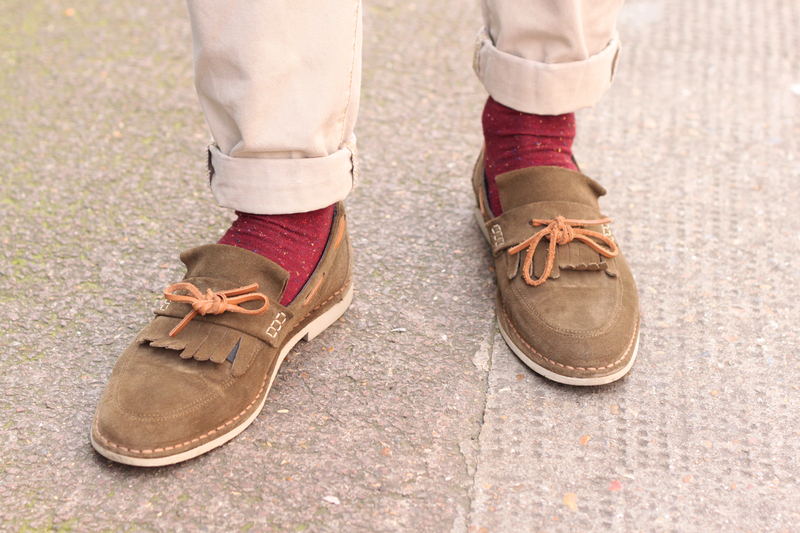 It’s a great style that’s guaranteed to add cool factor to any look. 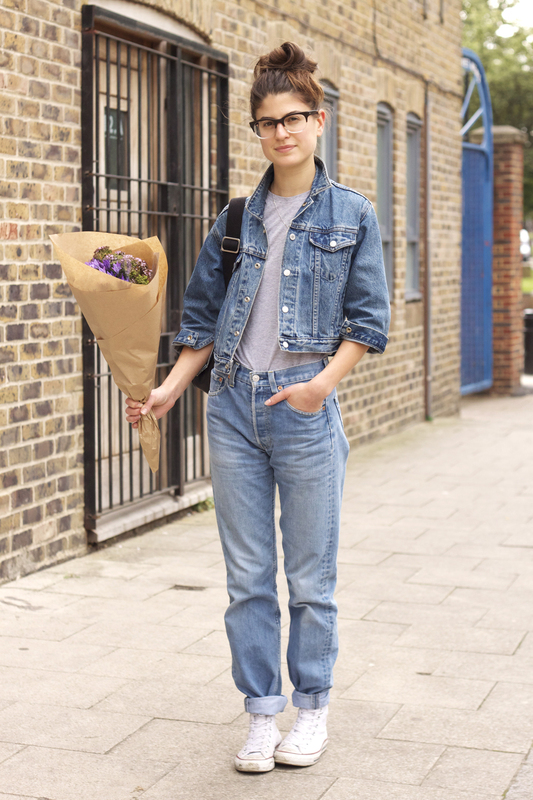 Dominique wears a vintage Levis jacket, leggings and jumper from Primark, t-shirt by Cheap Monday and Converse trainers. 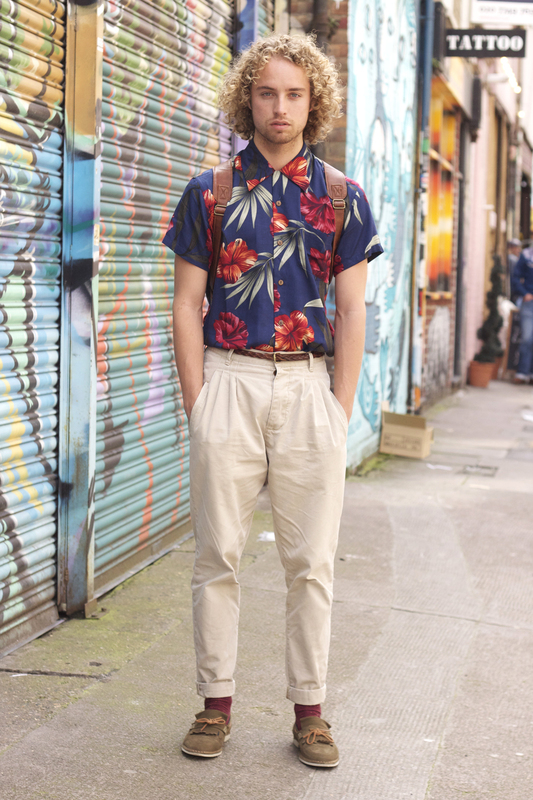 We all love a Hawaiian shirt to make us feel like summer is here. 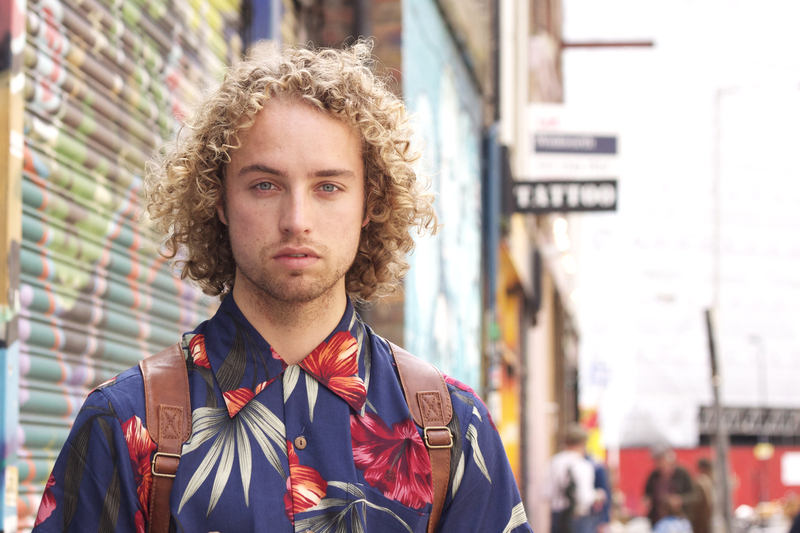 Sebastiaan’s vintage Makakiki Sunset shirt avoids the garishness of most with its rich muted colours and large flower print. 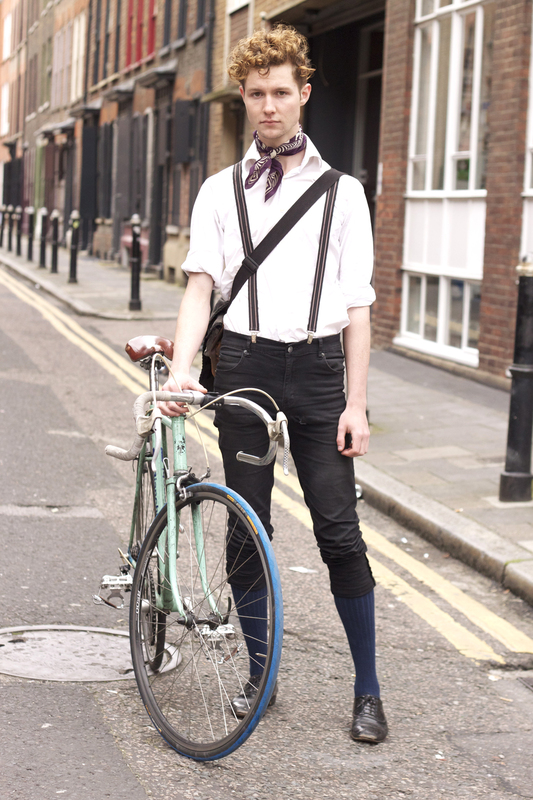 He also wears chinos, socks and rucksack from Topman, a belt by H&M and shoes by Swear. 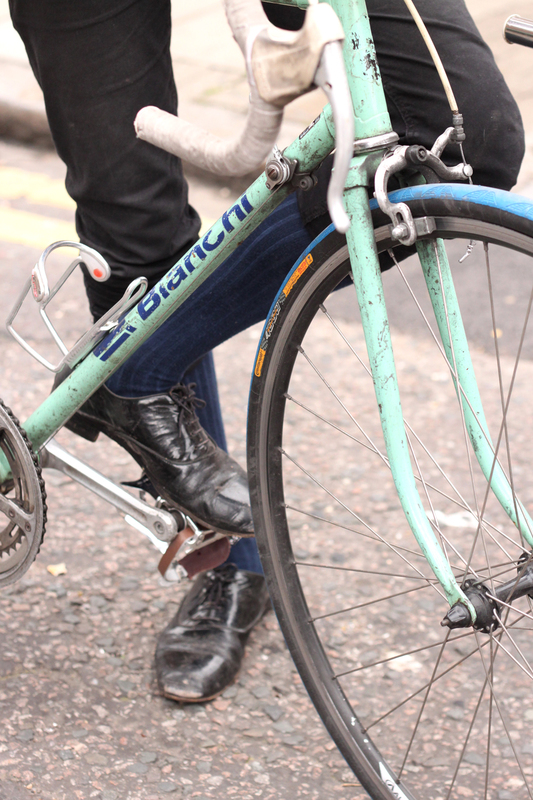 I met Oscar on his Sunday cycle around Brick Lane with his chum. His look is reminiscent of a dashing poetic gent from a BBC period drama. How marvellous! 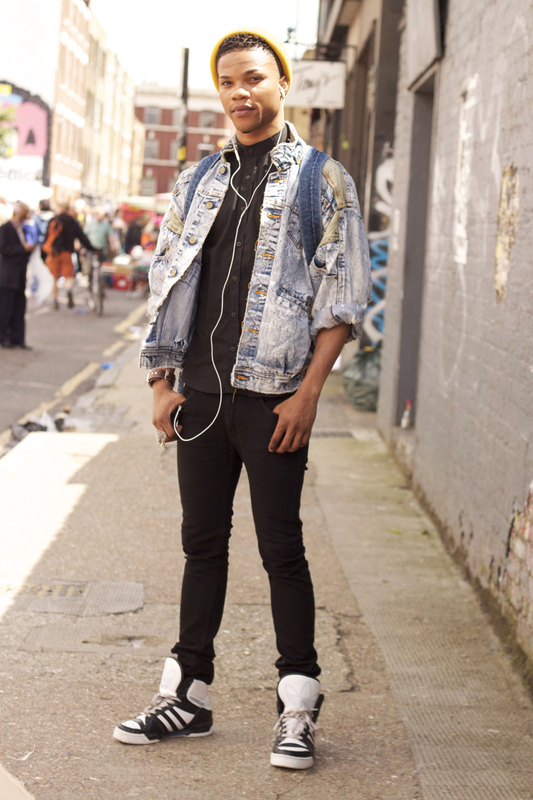 He wears turned up jeans from Topman, a friend’s shirt, his girlfriend’s neck tie and shoes from Absolute Vintage.